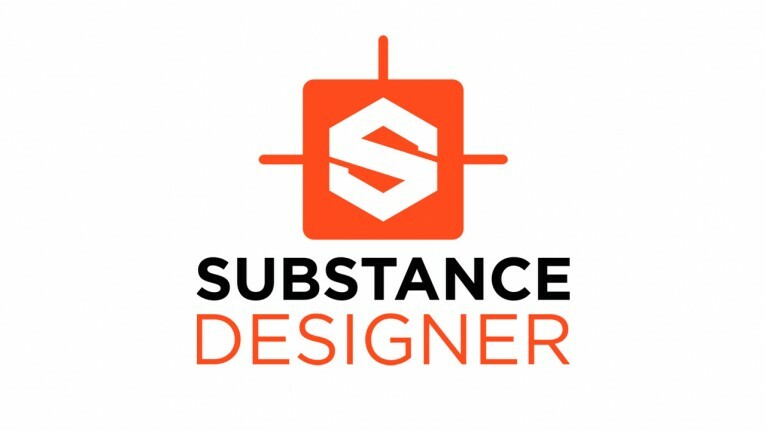 Substance Designer is the ultimate node-based 3D material authoring and scan processing tool. It has become the standard in the entertainment industry for PBR (Physically Based Rendering) material authoring. Create materials with full control and an infinity of variations. Edit complete texture sets instantly and produce Substance textures and MDL (Material Definition Language) materials that will be directly handled in your renderer (V-Ray, Iray and Adobe Felix) or game engine. Produce tileable textures up to 8K size with 32 bits floating. Create Substance files (.sbsar) tweakable in-context. Process scans thanks to filters and tools in an adapted to photogrammetry workflow. 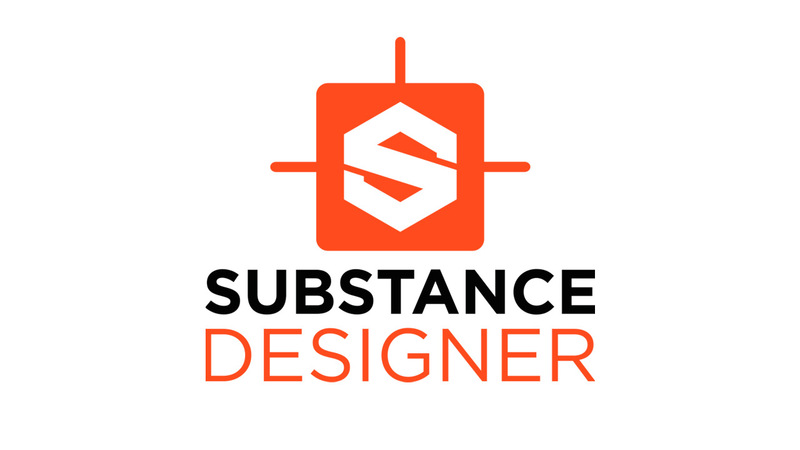 Substance Designer features a complete new set of tools and filters including: Crop Tool, Color Equalizer Tool, Extract Channels filters (Multi-angle to Albedo, Multi-angle to Normal, Normal to Height), Smart Patch Clone Tool, Smart Auto Tile Tool. Use the Substance material or export the textures to any renderer, game engine, DCC tool or portfolio site. 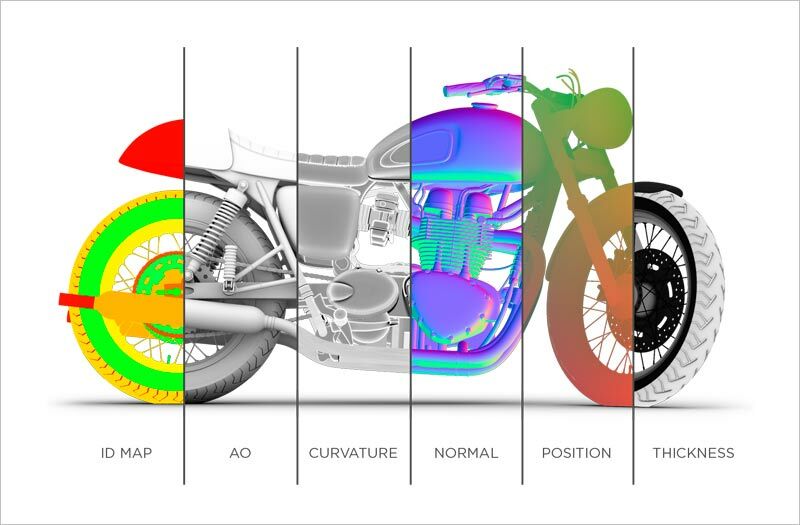 Import procedural sbs and sbsar files, hand-painted images, photographs, scans and geometry (FBX & OBJ). No need to worry about tiling, either – Substance Designer handles it automatically. Find physically based, high resolution and tweakable assets for texturing on Substance Source. On Substance Share you can download and share community-created content under Creative Commons 4.0 "Public License". Substance Designer features 4 graphs types: Tiling textures, MDL materials, Math Functions and Noise Editor. 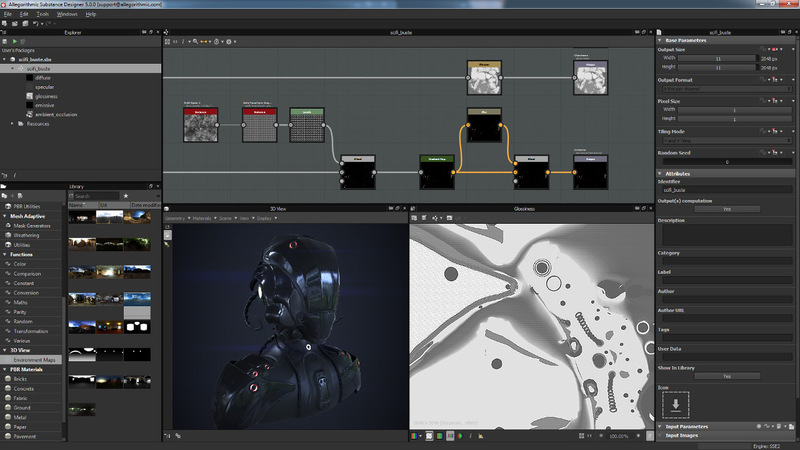 Edit complete texture sets instantly with the procedural node-based non-linear workflow. Want to change something while you are working? Make changes to any previous step while keeping your current work intact. Bake quickly and easily with a complete set of bakers. 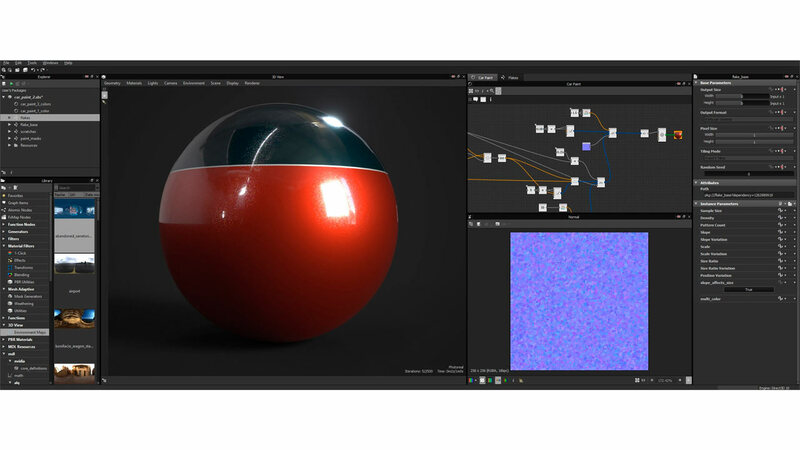 Create non-uniform (non-square) bakes up to 8K resolution with Substance Designer. The bakers include: AO, normal, ID, height, curvature, position, polypaint, Bent Normals, Color Map, UV to SVG, Opacity Mask, Thickness, Transfered Texture, World Space Direction, World Space Normals.